I assume this last season of Dexter has been riveting with all sorts of crazy twists and turns. Fortunately, I can finally give up my quest to avoid all spoilers as Time Warner Cable (TWC) and CBS have finally reached a new broadcast rights agreement that will bring CBS, Showtime, and other cable channels back to three million customers who have been blocked out since August 2. For a full month, the two companies have been at loggerheads due to CBS wanting to retain more fees from TWC, the nation's second largest cable TV provider. The resulting blackout affected viewers in eight markets including New York City, Los Angeles, and Dallas. In addition, there were debates about the nuances of licensing of CBS content over alternative digital venues such as Netflix. The approaching NFL regular season were likely impetuses for both sides to come to an agreement. CBS-owned networks had returned to most users by 6:00 PM EST on Monday. As in all of our negotiations, we wanted to hold down costs and retain our ability to deliver a great video experience for our customers. While we certainly didn’t get everything we wanted, ultimately we ended up in a much better place than when we started. 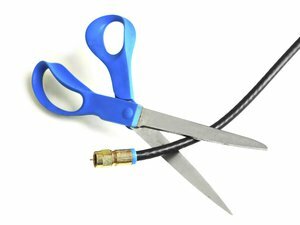 And as a side thought not indicative of anything in particular, but just in case you were wondering, here is some of our past cord cutting coverage.